Self-Management forces (primarily consisting of the Democratic Union Party – a branch for the Kurdistan Workers’ Party) have committed various types of violations to the international human rights law in their areas of control in a widespread manner which manifested, particularly, in arbitrary arrests operations, abduction, enforced-disappearance, and torture. These violations targeted activists, dissidents, and political critics. We have recorded no less than 169 incidents of arbitrary arrest and enforced-disappearance that involved activists and politicians. Of those, 72 were released, while the remaining 97 are still under arbitrary arrest or enforced-disappearance. Self-Management forces didn’t submit a charge statement. Also, most of the detainees’ families weren’t informed of their beloved ones’ whereabouts following the arrest, or whether they are still alive or not. In most cases, the arrest comes with degradation and torture. Moreover, those who were released haven’t been subjected to fair trials, but only technical procedures, whereas some of them told us that the detention centers lack the most basic life necessities, such as medical care, personal hygiene, water, food, and ventilation, which led to diseases running rampant among detainees. The detainees are not allowed to hire an attorney, and their families are barred from visiting them on regular basis. 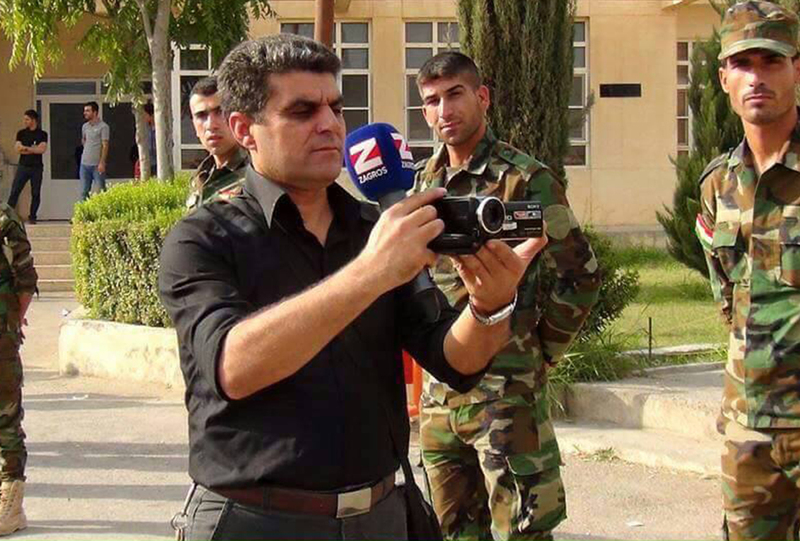 On May 13, 2017, we recorded that Barazan Hussein Liyani, media activist and reporter for ARK program, which is aired on Zagros TV channel, was arrested, as he was headed for al Rmilan city, from his hometown Ma’bada, eastern suburbs of Hasaka governorate, to call his family. Barazan is 43-year-old, he is married and has kids. Barazan was arrested and was taken along with his car by armed fighters who were affiliated with the Self-Management forces according to some of Barazan’s close associates who were able to confirm this information a week after his disappearance.